If you’re after quick and simple ways to enhance your home, it’s time to start thinking about fabrics. Soft furnishings are too often seen as an interior design afterthought, but with a little imagination, it’s possible to transform properties with the help of a few carefully chosen fabrics. Here are five savvy design suggestions that could help you to improve the look and feel of your home. When you’ve purchased curtains in the past, the chances are you opted for versions that fell just below your window sill or that sat flush with the floor. Next time, why not mix things up a little by choosing extra long versions that pool on the ground? This decadent look is ideal in lounge areas and it gives rooms an instant sense of grandeur and opulence. 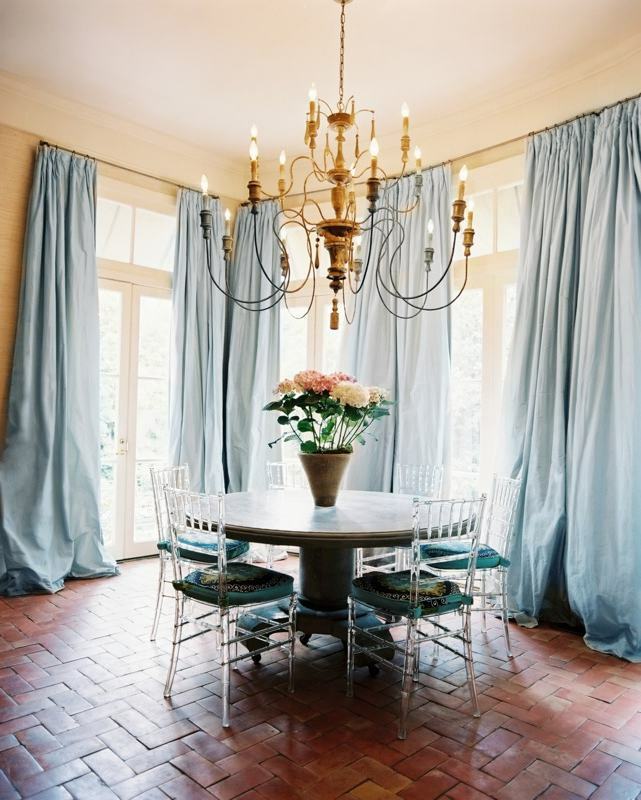 You can order made-to-measure curtains to your exact specifications from specialist suppliers like Julian Charles. For the best results, go for heavy or soft fabrics as they tend to fall in a more elegant, natural way than stiffer materials. The great thing is, as well as looking fabulous, extra long curtains are practical. Because there is no gap between these window dressings and the floor, they block out all drafts and help to create cosy living spaces. You might like the idea of bringing extra personality and flare to your rooms with the help of some bold colors, but perhaps you think that painting entire walls in vivid hues is a step too far. This is where vibrant cushions really come into their own. From pinks, reds and oranges to bright greens and blues, there’s no shortage of striking colors to choose from. Don’t be afraid to put contrasting hues and patterns side by side. There’s no denying that solid wood, laminate and stone floors can look stunning. They’re highly versatile too, so it’s no surprise that they’re a popular choice among discerning designers. That said, these hard surfaces can be a little unforgiving on the feet. To bring extra comfort and luxury to your rooms, consider adding sumptuous, deep-pile rugs. These accessories can give rooms a warmer, more homely look and feel, and they also help to preserve the flooring underneath. Let’s face it, replacing sofas and armchairs isn’t cheap. However, if your seating has seen better days, there is another option. Instead of buying new versions, you can invest in some throws. 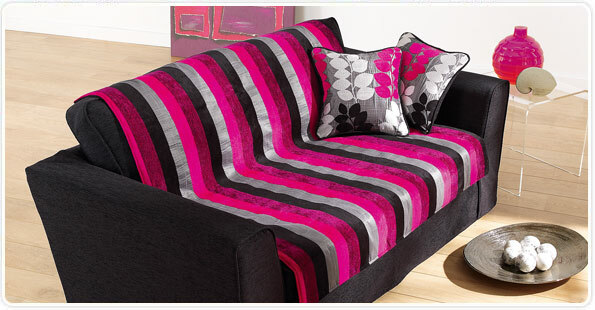 Simply by shrouding your sofa and other chairs in beautiful fabrics, you can achieve that brand new look. There are added bonuses associated with using throws too. These pieces of material can easily be washed whenever there’s a spillage, and they help to protect seating from general wear and tear. If there’s one part of your home when you can enjoy unbridled design freedom, it’s your bedroom. This is your space and it offers you the perfect opportunity to channel your creative energy. So, when you’re choosing your next headboard, why opt for a run-of-the-mill product when you can create a unique version instead? Simply select your favorite fabric and then use it to upholster a standard headboard. This is a quick and easy way to bring this part of your boudoir to life.